Lollipop 5.0 firmware, build C433B114, for the Mate S (CRR-UL00) has been release by Huawei from Middle Eastern and North & South African countries. 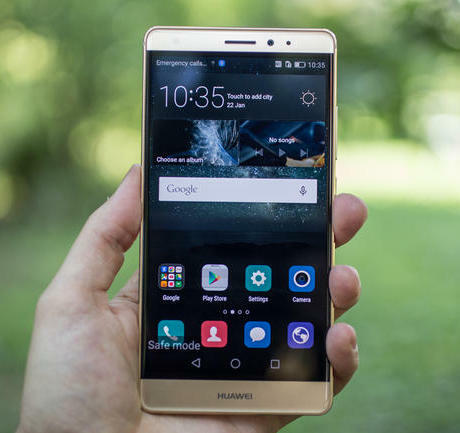 How to Update Huawei Mate S CRR-UL00 to Android 5.0 Lollipop B114 Firmware. This firmware can only be flashed on the CRR-UL00 variant with C433 branding. 1- Connect your Huawei Mate S to your computer via a USB cable in file transfer mode. 2- Download the firmware package from above and extract it.You’ll get a ‘dload’ folder that contains Update.app. 3- Copy this ‘dload’ folder to the main directory of Mate S’s microSD card.Open the Updater app, menu ? Local update, tap the update.app package and install it. 4- Your device will automatically reboot into its recovery mode and install the new firmware. Galaxy S10 – The 3 models will feature innovative functionality!